Playing for real money at online gambling sites shouldn't be hard for most people. Although there are no deposit options available where casinos extend a small amount of "house credit" to players via signup bonuses, players who want to gamble with larger account balances must deposit their own funds. Credit cards and debit cards may represent the most widely used deposit method for good reasons. The card processing companies vet both the payors (you) and the payees (the casinos) before allowing them to transact business through their networks. That establishes a certain amount of trust between player and casino. We strongly believe that an online gambling site should accept credit and debit card payments. Here are our choices for the best casinos that accept credit and debit deposits. With more than two thousand online casinos to choose from, how do you narrow down the list of choices when making recommendations? We use several criteria, beginning with the language preferred by the sites we pick. Obviously we prefer English language sites for our English reading visitors. But it's easy to see why any good casino accepts credit cards and debit cards. They are safe, secure methods of payment that work around the world in most situations. Nonetheless, the large number of laws that regulate use of bank cards around the world makes the banking systems challenging to use in online gambling. We find that the best casinos are very successful at working with credit card and debit card depositors, offering them options that are consistent with the laws of their home countries. That is another reason why we use the inclusion of credit and cards as deposit methods as one of the criteria in our selection process. We appreciate the extra effort these gambling sites invest in their players' overall experience. We also look at the availability of alternative deposit and withdrawal options. A good casino has a robust banking service that accommodates players from most of the countries it accepts. And there is also the issue of compliance. We believe these casinos are careful to do business with players in accordance with various regional laws. That is why they bar players from some countries from joining their programs. They simply cannot accept those players. Player convenience is paramount in our evaluations of online gambling sites. We don't just look at how easy it is for you to deposit money. We also look at the user interface, the selection of games, the rules attached to promotional offers, and the safety and security of the websites. Although we cannot guarantee you 24/7 accuracy in our assessments we do review these sites periodically to ensure that we are aware of any significant changes in their designs, offerings, terms, services, and promotions. And that includes deposit and withdrawal methods. The two most popular credit card networks in the world are MasterCard and Visa, and virtually every online gambling site we recommend accepts these two forms of payment for deposit. 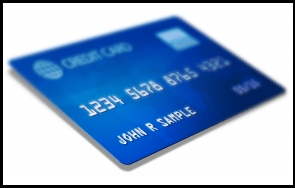 However, there are other credit or "charge" card systems available and two of the next most popular group of card networks are American Express and Diners' Club. The good news for the majority of players is that most banking systems use either MasterCard or Visa to handle their debit cards. That means your MasterCard or Visa debit card will almost always be accepted at the gaming sites we recommend. We cannot promise you 100% compatibility but we rarely hear of problems that are due to use of MasterCard or Visa debit cards. In countries where the banks are restricted by law from making payments directly to online gaming sites, your credit and debit cards may not work. If you run into this situation with one of our recommended sites, don't worry. They all offer alternative payment methods, and most if not all of the alternative options accept MasterCard or Visa payments. Although each online business is responsible for setting up its payment processing options, there are two very common methods that online casinos use for accepting credit card or debit card deposits. 1First, they work with legit third party payment processing services. This is the way most online merchants work because it is cheaper to pay someone else to set up all the transaction software and get the contracts than for each company to do it alone. 2Second, some casinos offer a supplemental deposit method where you purchase a voucher with your credit card from another company and then use that voucher to make a deposit into your casino account. It is impossible for us to explain in detail how this method works because it varies from site to site. With the direct card processing systems, however, you should expect to see a special form where you fill in your credit card information. The form may take you to another website managed by the payment processing company. It is standard for legitimate online vendors to include advisory language explaining what to expect. You should also expect the payment processor website to explain to you what you need to do to complete the transaction. In most cases they warn you to NOT click on the BACK button in your browser, as that may lead to an inadvertent extra charge on your card. To protect themselves against fraud, and to protect you as well, reputable online casinos impose some requirements and restrictions on deposits and withdrawals. Although we do prefer the simplest rules possible the reality of the Internet is changing every day. Honest players have to mingle with the occasional unscrupulous player who attempts to game the system, and therefore we have to live with the rules that weed out these bad elements. Before making a deposit you should read the terms and conditions that apply to deposits. Pay careful attention to the sections that deal with your privacy and your identity. Identity theft is real and it has forced online vendors to sometimes impose restrictions on how credit card and debit card payments are handled. Online casinos are no different from other vendors in that respect. One clear requirement we find over and over again is that you must use your own cards. Using someone else's credit or debit card to make deposits is generally not acceptable and may be grounds for the casino to cancel your membership. No matter how convenient it may be for you to pick up your brother's credit card, even with his full knowledge and permission, don't do it. In our experience most casinos no longer offer withdrawal methods direct to your credit cards. This is because the banking companies forbid such payments. Hence, even if you can make a deposit using your credit card or debit card you should plan on paying off that balance through some other means. Many casinos still offer a bank wire option, which may cost you some money. If you live in a country where your banks accept cheques you may consider that option but allow for a fee that the casino charges. If you accepted a deposit bonus when you made your credit card deposit there may be restrictions on when and how much of the money you won with the bonus that you can withdraw. You can withdraw your own money that you deposited but you may have to wait on other funds. Some casinos limit how much you can withdraw at any time or on a weekly basis as well. Check the terms and conditions on the withdrawal options you choose. If you are borrowing money from a credit card to gamble online you need to be sure you can maintain payments on that card without requiring the casino withdrawal be processed quickly. While that may seem inconvenient, remember that it also protects your interest as you may be able to detect unauthorized withdrawals before all your money is gone, in the event that your account has been stolen or hacked (although this happens very, very rarely). What is most important to remember is that you gamble responsibly. Responsible gambling is all about protecting you from unmoderated or uncontrolled gambling. We don't want you to make bad financial decisions. We view gambling as a form of entertainment and like all entertainment we feel it should be managed through your budget. Stick to your budget. If you feel you are playing more often than you should then consider taking some time off from online gaming. Spend some of your entertainment time and money visiting friends and family, taking care of other people, and enjoying life in general. The casinos are not going away. The games will always be there to enjoy. Fortunately, many reputable casinos also help players gamble responsibly by setting limits on how much they can deposit. It is in the casinos' best interest to encourage players to manage their money well. Gambling is a rich, fun entertainment experience for millions of people every day. Thanks to the Internet many of us can now game comfortably from home or while we travel without having to find a land based casino. But more importantly we don't have to worry about making deposits at reputable casinos because they either accept major credit and bank cards or they provide simple to use alternative payment methods where you can use those cards to make your deposits. The bottom line is that you should not jump through a lot of bureaucratic hoops to enjoy your entertainment experience. Even if your country's laws prohibit your bank from transaction business with online casinos you should still be able to find alternative payment methods that accept your credit and debit cards. When you have a choice between using your credit card or providing your direct bank account information, we recommend that you use the credit card to protect your sensitive banking profile as much as possible.